Do you like mermaids? Is Ariel your favorite princesses? 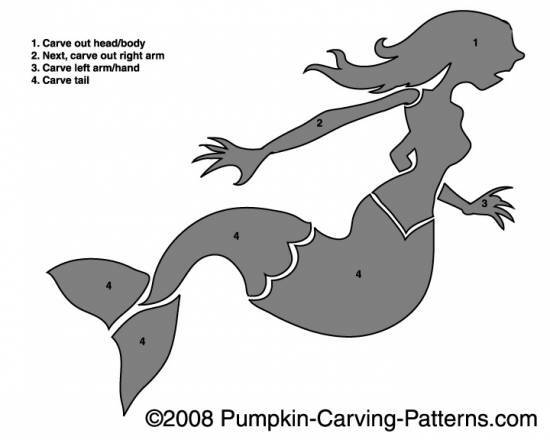 Then maybe you should carve your pumpkin this Halloween with a great mermaid template! This would be great if you are dressing up as a mermaid for Trick-or-Treating! Follow the instructions and please be very careful with sharp knives and objects when carving your pumpkin! Safety is the most important thing during the holiday season! Children, please only carve pumpkins with your parents' permission and direct supervision! !